This wonderful two bedroom, two bath totally furnished condo, sits on the fairway of Pinehurst Country Club's Course #5. 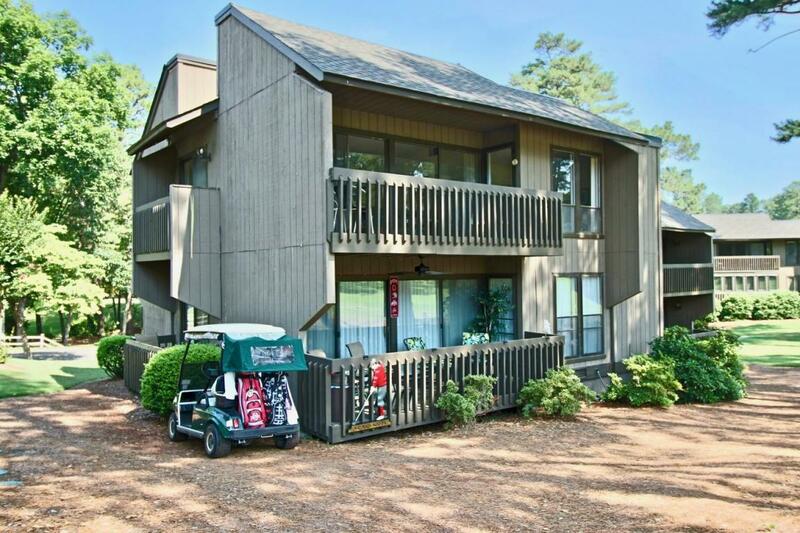 The location is great as you can walk or drive your golf cart to the club house or to the Village of Pinehurst. The kitchen has been recently updated with granite countertops and the entire condo has just been freshly painted! Washer and dryer in unit! Don't miss this great little vacation getaway or rental investment property! Transferable Pinehurst Country Club membership is available with Buyer to pay applicable transfer fee. Linville Gardens Homeowners Association charges a one time transfer fee of $250 and the Property Management Company charges a one time transfer fee of $50 at closing. Association fee pays for the maintenance of exterior, water,cable and internet!